First of all, that would be Rheinhessen, not Pfalz. At my discounted consultancy rate. 09 Nov	This entry was published on 9 November, 2013 at 16:24 and is filed under Culinary, Mainz, Market. Bookmark the permalink. Follow any comments here with the RSS feed for this post. 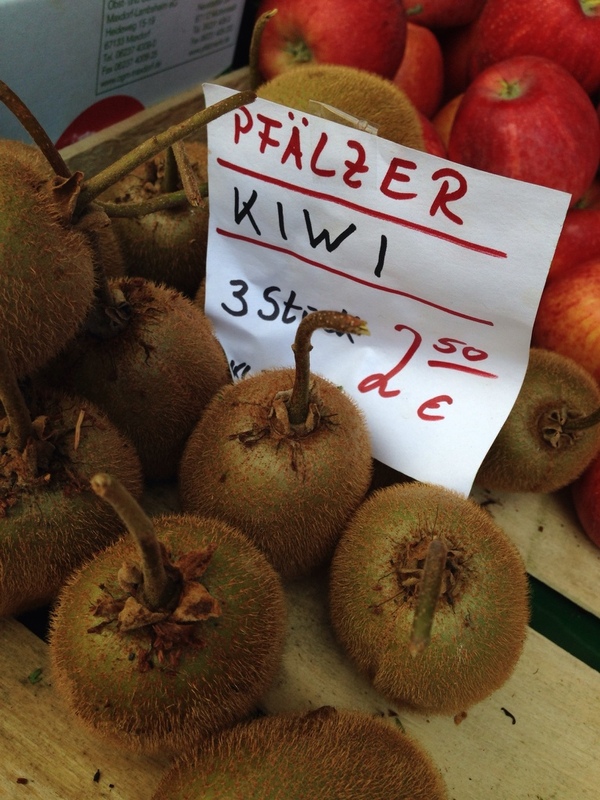 So there are differences in kiwi, like in apples? I can’t recall ever tasting the fruit.